I believe any book that begins with the sentence, “Wisdom comes from the Lord,” needs to be read. And not only read, but studied and lingered over. How? Well, that is entirely up to you. You may feel called to journal through the Book of Sirach—old school, pen and paper style. You may feel called to get your art on with the creative process of Bible journaling using various mediums from colored pencils, acrylic paints, washi tape and stickers. Or you may you choose to dig deeper into the Book of Sirach by verse mapping your way through. Either way, this book will encourage you, help you and give you the room you need for whatever journaling style you choose. You can find more Bible journaling resources as well as Prayer journaling resources at TheLittlestWay.com. You can find it at Amazon here. Thanks again to Emilia for spotting this one! She reports that the translation used is the RSV-CE. Also the "littlest way" is rather confusing. I guess St Therese of Lisieux ("little way") was twice too overbearing for them? I wonder who out-humbles St T of L only once ("littler way")? P.S. Can one out-humble someone, or is that a contradiction in terms? What I find so interesting about this choice from among the Sapiential books is the fact that it contains the controversial/uncomfortable passage at 42:9-14. I truly wonder how she treats it. I think people cannot take every part of the Bible as being useful today. The section at 42:9-14 is a good source for understanding the culture of the Middle East. If you Muslim preachers you hear something very similar. I have never heard any strict Orthodox Jewish preachers, but their thoughts about women are very much in line with this. I personally don't find that passage as uncomfortable nowadays as I did the first time to be honest. It's really because the Sacred author of this book tends to be really down to earth and so I just started appreciating everything he wrote including this, which makes some interesting points that actually helps me to sympathize lol. Speaking of girls, what's with all these journal Bibles geared towards women all of sudden? I ended up reading that passage as Sirach stating the obvious that a father usually watches over his constantly, especially to protect her. At least my NABRE calls the daughter a treasure in v. 9 so I see it that way. And especially at. . 13 where Sirach warns about how married women can turn one's daughter wicked. One bible I meant, not journaling Bible. That is what I have been wondering myself. It may be a problem with American Catholic men who may see this as another kind of scrapbook activity, which is usually seen as a "girly" thing. If you are older generation, as I am, the concept of writing on a sacred object is hard to accept. That being said. I've been reading a lot of 19th century literature and I can see the value in taking notes. For example many New Testament passages mirror old testament ones, and I could see taking not of this. In my case I simply could never write on a sacred object. "What I find so interesting about this choice from among the Sapiential books is the fact that it contains the controversial/uncomfortable passage at 42:9-14." Huh? What exactly is 'controversial' about that passage? It sounds like something any father with a teenage daughter might say. Heck, a father worried about his daughter, in particular, that her boyfriend or husband is not good enough for her, is the premise of a million comedic movies and TV shows. What it is Ben Stiller's 'Meet The Parents' series of films or John Ritter's TV series '10 Simple Rules for Dating My Teenage Daughter', it is fodder for comedy because it is true to life and very realistic. There's even a common Facebook meme that many of my male Facebook friends who have teenage daughters have posted, in which it says things like 'She's My Daughter, not your conquest' and 'iIf you hurt her, I will hurt you'. It is, in fact, true, that fathers tend to be excessively worried and concerned about their daughters, much more so than they worry about their sons. What is 'controversial' or 'uncomfortable' about that fact? It doesn't help that the NABRE, (which I really like btw) has a footnote saying that the passage is "unflattering to young women" and that "it shows the shortcomings of the patriarchal society of Sirach's time." "Patriarchal" is one of my trigger words, and it is one of the reasons why I get confused as to which understanding I get from Chap. 42. Just like Cody says, there is commentary that says that the passage makes some uncomfortable. As a young woman myself, let me share what I found uncomfortable (indeed harsh) about the passage when I first read it. V. 11 "lest she make you a laughingstock for your enemies"
V. 14 "Better a man's harshness than a woman's indulgence, a FRIGHTENED daughter than ANY DISGRACE"
Now as I have said before, my views have changed on the passage and I no longer see them as harsh but as very down to earth as I further pondered on it. However, for modern sensibilities, writing like that, at first glance, does and has offended some women. Taking this into account, that is why there is commentary such the NABRE notes and the notes in the Oxford Catholic Study Bible that admit discomfort. "V. 11 "lest she make you a laughingstock for your enemies"
I think it is important to understand that the cultural world of the Bible is what would be called an 'honor and shame based society', the technical term for this in sociological terms is 'agonistic'. It is difficult for those of us living in the modern west to understand an honor and shame based society, but even today, most of the world, including most of the Asian world such as China, Japan, Vietnam and Korea, as well as most of the Islamic world still lives by these values. In an agonistic society, all of one's social interactions are based around whether they give honor or shame. If you've ever seen the portrayal of Klingon culture in the Star Trek series, you have a close analogy. In an agonistic society, personal honor is literally EVERYTHING. A few years ago, there was a common bumper sticker that said 'He Who Dies With the Most Toys Wins', the principle governing an agonistic society might be worded as 'He who dies with the most honor wins.' Honor is literally the single most important thing in life. In an agonistic society, ones relations with one families are based on the concept of honor. Anything that a member of your family does reflects on the entire family, if they do something good, it gives to the entire family, and if they do something bad, it gives shame to the entire family. So, as father in an agonistic society is concerned deeply with the question of whether his children give him honor or shame. For example, to put it into modern terms, if a man's son is the valedictorian at his high school graduation, then this gives honor to the father. On the other hand, if he gets caught shoplifting, it heaps shame upon the father. So, when it says that a father is worried that his daughter will bring shame upon the family, this isn't sexist, and in fact, sexism literally has nothing to do with it, this is simply a reflection of life in an agonistic society. There are literally thousands of passages in both the Old and New Testaments where modern people cannot really understand it unless they understand the sociology of what it means to live in a society based entirely on the concepts of honor and shame. "There are literally thousands of passages in both the Old and New Testaments where modern people cannot really understand it unless they understand the sociology of what it means to live in a society based entirely on the concepts of honor and shame." That is the point of having to even have commentaries on the aformentioned passage in the first place that adresses a modern Western mind's initial discomfort. Ergo, it is an uncomfortable/controversial passage AT FIRST GLANCE as I have been trying to point out. There are scholars who do focus on the cultural world of the Bible, but unfortunately, they are currently still on the fringes of the Bible scholarship world. The most common exegesis is the historical critical, which often ignores the cultural aspects completely. There is even a series of books called a 'A Social Science Commentary on...' various books in the New Testament by Bruce J Malina. I don't know if he is going to eventually cover the entire Bible, or the entire New Testament, but so far there are volumes about the gospel of John, the Synoptic gospels, the epistles of Paul and the Apocalypse. The books are extremely enlightening I highly recommend them. Maybe in 25 years or so this kind of analysis of the text will become mainstream and start to replace the rationalistic analysis of the historical critical school. Now that I think about it. 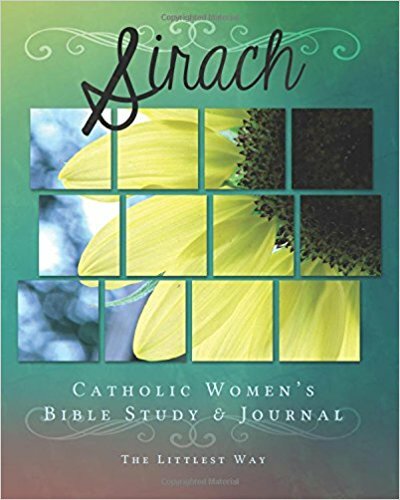 I think these latest Catholic Journaling Bibles have been geared towards women probably because men might see this as a kid of scrapbooking project, which is normally thought to be a "girly" thing. So who is going to buy me this?